Chaim Boruch got a scooter for his birthday! We are learning how to ride it! He was thrilled to have such a ‘big’ gift! Of course, Chaim Boruch’s favorite thing is his school bus! 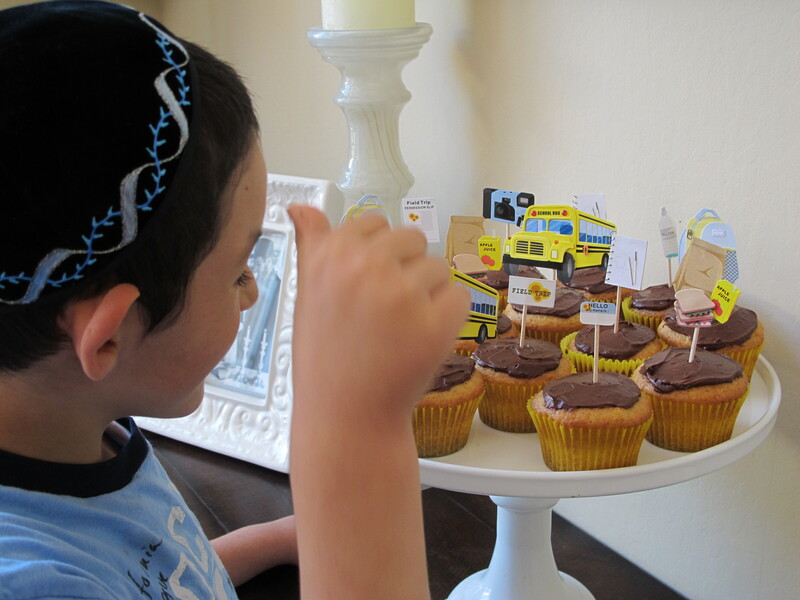 So here, he is signing “school bus” which I made for his Birthday Cupcakes! 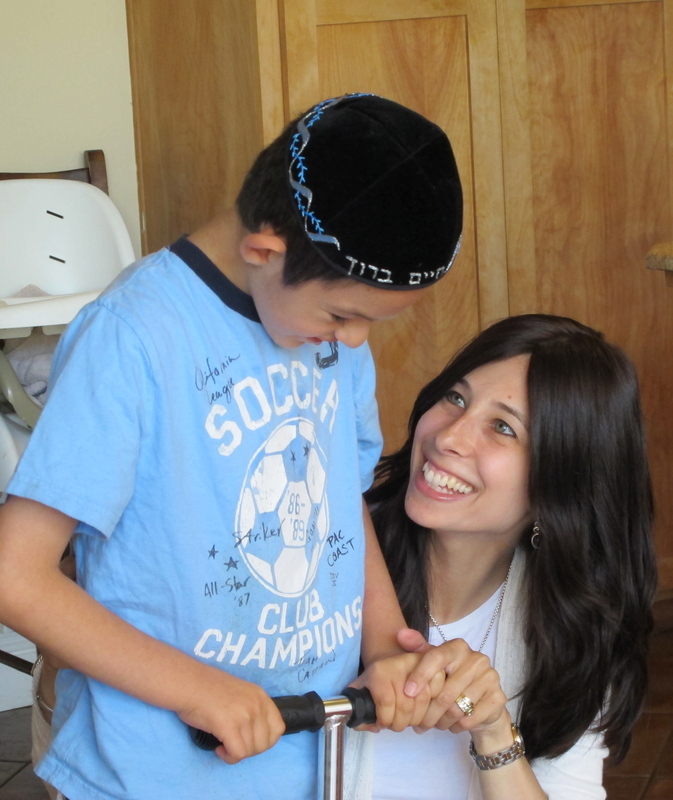 Happy 7th birthday my sweet special Chaim Boruch. Today was full of memories of what our day was like when you were born. I don’t usually allow my mind to revisit that day, it’s surreal to actually think about all that transpired in those very overwhelming moments. But in time, we get further from the day of birth, further from the oxygen mask, wires, monitors and teams of doctors and statistics. Chaim Boruch…aren’t you grateful we don’t believe in statistics? I know you are…and so am I. Today is the day I whispered in your ear, to please ‘be strong’. Today is the day, I begged my heart to hold on tight. And today is the day that I thank Hashem for all that I held in my arms, 7 years ago. Life, love, kindness, purity, soul. I held all of you so close to me, and didn’t want to let you go. Wishing you a happy birthday with blessings for health, happiness, strength. May you continue to inspire the world, teaching us all what life is truly about. And for me…my birthday gift was to spend my night lying next to you watching you fall asleep. Truly a gift of life. I love you so much, more than any words can say.